How Do You Design A Class By Tapping Into The Class Emotional Field? My classes are more like a sports field, a science lab, or a design studio— learning environments where instruction, coaching, experimentation, feedback, and practice overlap. These are environments where learners engage with the subject matter and each other in studying their own and others’ behavior as it actually unfolds in real time. In this interactive experience-based environment, I ask people to walk in unfamiliar territory, to learn “below the neck” as well “above the neck”, and to engage in “feelings learning.” Rather than “knowledge about” (cognitive) I engage them in “knowledge of acquaintance” (experiential): two modes of knowledge with two different requirements from participants. The new experience requires for them not just objectivity, dispassion, reasoning, argument, and logic but also a reflective stance, a focus on observation, an awareness of attention, and a mindfulness of internal purpose and values. I require them to play a new game. I invite them to explore below the surface, for themselves and for their peers. A degree of personal change or deep reflection is required because it is about our experience and self-development: not about learning something “out there” but something “in here.” This is a different domain of changes within ourselves that has a quality understandable only from our unique vantage point. Sometimes this kind of learning is not problematic. But in other cases, the results that this approach entails are so profound and disturbing that the students resist and become stranded in unfamiliar territory. Fear—or all the other emotions that spring from fear—prevent them from seeing straight. Worse still, not just their ability to learn is distorted but what is also hidden is the fact that fear itself is doing the distorting . We all know individuals—emotionally intelligent in their personal lives—who believe that at work or in work-related learning they must be completely logical and remain emotionally unaffected by their experiences. Perhaps we think this ourselves. Not only does this idea lead people to cut themselves off from huge quantities of useful information about work, but it also works to discredit any learning that is not purely cognitive. If we become more observant in our emotional processes and see them more clearly, we can then have choices about how we respond. 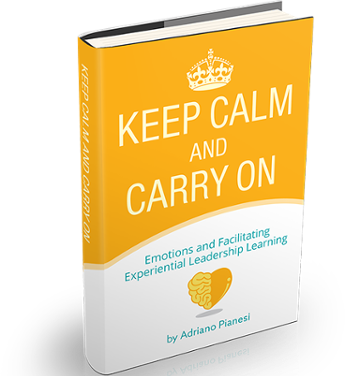 Most emotions that are understood are not destructive and have a place in our life as learners. The sooner we begin to look at emotions with awareness and discernment, the sooner we are able to manage them, rather than letting the emotions manage us.